Boston, MA—The Regional Center for Poison Control and Prevention Serving Massachusetts and Rhode Island and the Massachusetts State Fire Marshal’s Office remind all residents to be aware of the increased risk of carbon monoxide poisoning that comes along with the cold weather. “High oil and gas prices and power outages during winter months can cause residents to look for alternative sources of heat. All too often, alternative sources can increase a family’s risk of carbon monoxide poisoning,” says Massachusetts State Fire Marshal Stephen D. Coan. Cooking appliances like stoves should never be used to heat a home. In addition, Massachusetts’s residents are encouraged to have their home heating systems inspected yearly to make sure they are working correctly. When not used and maintained correctly, oil and gas heating systems and wood stoves can all be sources of deadly carbon monoxide gas. Residents of Massachusetts should also remember that un-vented kerosene heaters are illegal in the state. Carbon monoxide is a colorless, odorless, poisonous gas that results from incomplete combustion of fossil fuels like petroleum gas, oil, wood, coal or other fuels. Signs and symptoms of carbon monoxide poisoning can include headache, nausea, dizziness and lethargy, which are often mistaken for flu symptoms. Elderly residents over the age of 65 have the highest carbon monoxide poisoning death rate, and are at higher risk for undetected exposure. In 2005, Massachusetts passed “Nicole’s Law” which requires that carbon monoxide detectors be installed in all residences that have any source of carbon monoxide such as fossil-fuel burning equipment (like natural gas, propane, oil, wood, coal and gasoline) or an enclosed or attached garage. “Nicole’s Law” was named after 7-year old Nicole Garofalo, who died in 2005 from carbon monoxide poisoning when the furnace vents in her Plymouth home became blocked with snow and her house filled with deadly amounts of the gas. If a Massachusetts resident rents an apartment and does not currently have a carbon monoxide detector, they are encouraged to contact their landlord, who is responsible for installing and maintaining these life saving devices. Since 2006, the Regional Center for Poison Control and Prevention, located at Children’s Hospital Boston, has answered over 600 phone calls from residents and health care providers regarding carbon monoxide poisoning. If you have any medical questions about carbon monoxide poisoning, please contact your Poison Center at 1-800-222-1222; questions regarding your carbon monoxide detector may be directed to your local fire department. 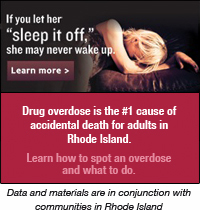 For more information about poison prevention and other winter safety topics, log on to the website for the Regional Center for Poison Control and Prevention serving Massachusetts and Rhode Island: www.MARIpoisoncenter.org. Additional safety education materials can be found on the Massachusetts Fire Marshal’s website: www.mass.gov/dfs. If you think you are suffering from CO poisoning, get fresh air immediately and dial 911.